The days are getting longer and the sun’s rays are growing stronger each day. Even with a foot or so of snow still on the ground, I can feel spring in the air and we have begun our preparations. I finally got around to getting some winter sowing done this past weekend. My first attempt a few years ago was enough of a success to convince me to continue trying this process. I started saving milk jugs earlier this year and requested a friend to do the same, so I had a good supply. Some changes that I have made to the process since my first attempt is to not cut the milk jugs completely in half, but rather to leave the handle side attached to act as a hinge in the spring when you need to open the containers during the warm days. I also write the flower variety on a craft stick and place it inside the container instead of writing on the outside of the milk jug, which wears off in the weather over time. I am even attempting winter sowing some kale (Kale Winterbor Hybrid). I will let you know how that turns out. 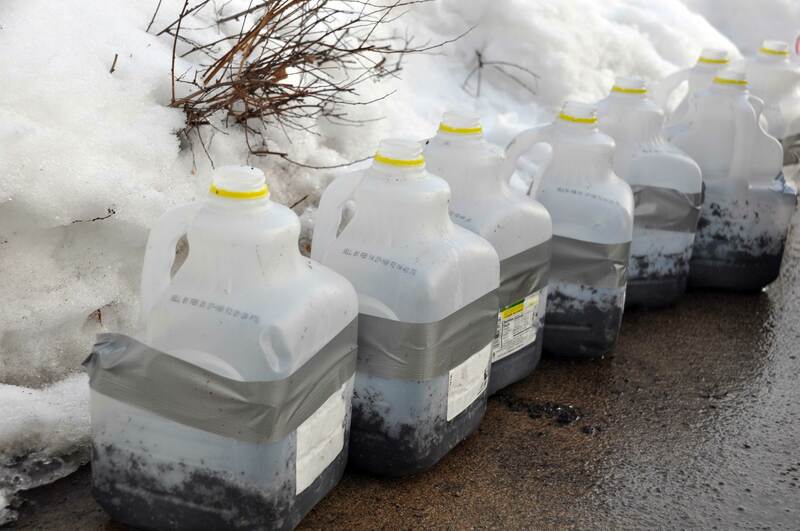 The milk jugs are all taped up and ready for placement in the snow to await spring. In a few months, these containers will house some little seedlings to add to my gardens. I wrote the following post in the summer after my first attempt at winter sowing, showing the little seedlings and the bigger plants once transplanted to the garden: Winter Sowing Update. It is hard to believe that this cost-effective process can yield such great results. My biggest success in winter sowing to date has been my poppies and foxgloves. 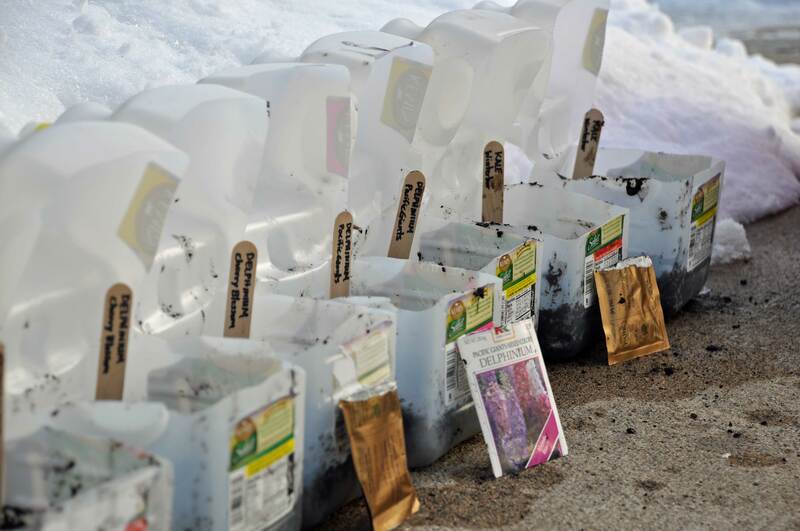 I wrote about my foxglove successes in winter sowing in 2011: Foxgloves: A Favorite. On the flip side, I have struggled with the germination of Delphinium, typically only getting a few seedlings out of a packet of seeds. I adore Delphiniums in my garden so much however, that despite my limited success, I continue trying to winter sow them. And considering the cost of perennial plants, a $2 packet of seeds is still a good deal, even if I do eventually only get 3 or 4 plants for the garden. 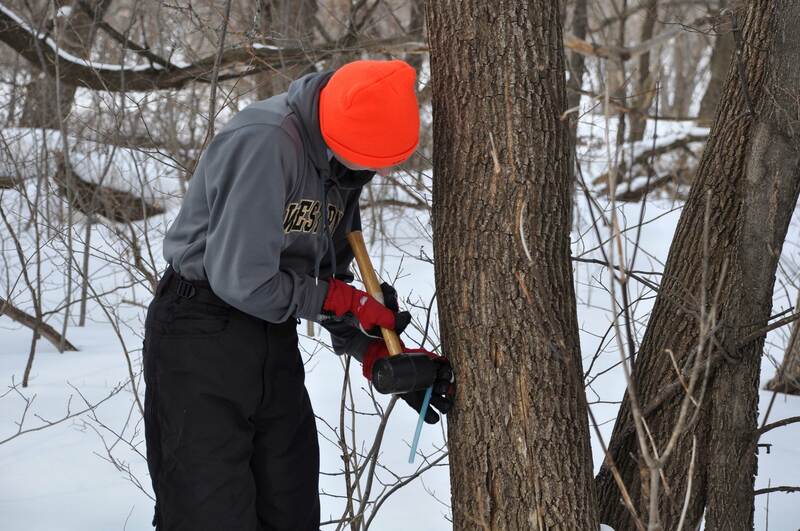 Besides winter sowing, we also got some trees tapped in hopes of getting some sap this year. Last year was such a strangely warm winter and spring that the sap never ran and we were unable to make any maple syrup. The summer continued with very little rain and drought conditions. 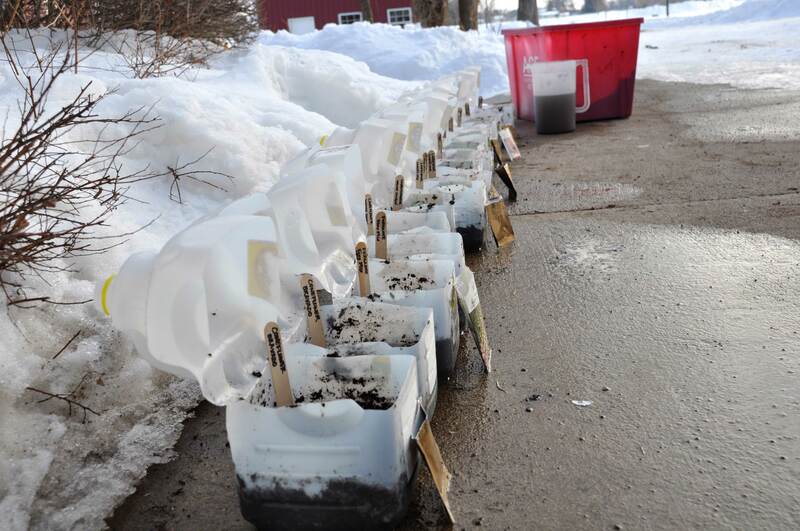 Jesse’s mother sent him an article, Maple Syrup and Drought, from the University of Minnesota Extension website that discusses the dilemma of tapping maple trees after a drought year. After reading the article and comments, Jesse decided to only put one tap in each tree, as opposed to the two or three he usually does in the bigger trees. Our youngest helped insert the spiles into the drilled holes. After hanging milk jugs on the trees to collect the sap, we will be ready to go when the sap starts running. Not only do we all enjoy the process of making the maple syrup, we also love having it on our pancakes, waffles, french toast, etc., and in our oatmeal throughout the year. Last year, we missed both the maple syrup process and the product. 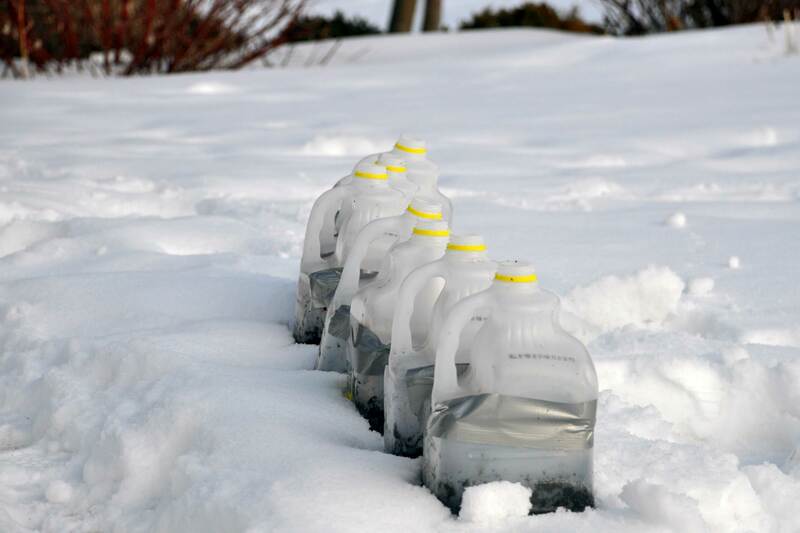 We are hoping for normal spring conditions this year that promote a healthy sap run for our trees. I hope your spring preparations are going well in whatever part of the world you live!